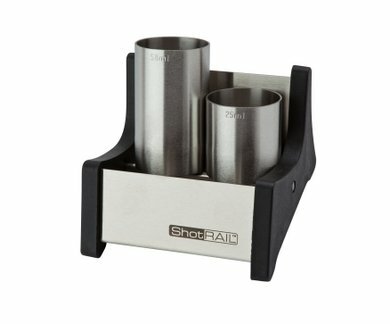 High quality stainless steel shot rail. This is the 2-shot version. We also sell a 4-shot version. The rail acts as a convenient, stylish drainer for thimble measures. Please note: Measures shown in picture are not included.